Is Your Location Too Remote For The Average Wyoming Court Reporter? Welcome to Wyoming, a beautiful land of sprawling plains leading into the Rocky Mountains. At first blush, with a wide array of topographical obstacles between large open spans and mountain ranges, it may seem difficult to supply your deposition with the absolute best court reporters in Wyoming. This is not the case when you partner with Discovery Litigation Services to provide the staff you need anywhere in Wyoming court reporter, legal video service, interpreter, and more. 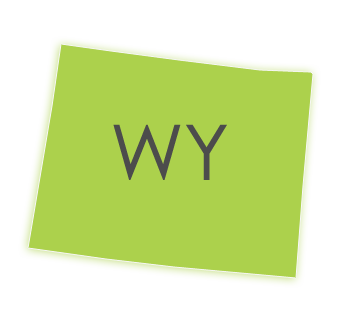 With Discovery Litigation Solutions, your Wyoming court reporter is in your back pocket. We have the technology to put comprehensive legal tools and deposition services at your fingertips wherever there’s an internet connection. The Discovery Litigation Services technology provides you with a network of experienced court reporters, in addition to full-service deposition solutions able to reach you, anywhere in Wyoming. We have the technological solutions to surmount space, save your time, and save your money. Often, you will be required to depose an individual far away from your home base. This can have unexpected, or at least, undesired ramifications. The costs around attending a remote deposition quickly tally up. Spending on travel to and from the deposition, hotel accommodations, breakfast-lunch-dinner, and meeting rooms will needlessly deplete your budget. Journeying to far off depositions puts a strain on your finances, and it puts a strain on your family. The time you spend away from home steals from the time you’d like to give to yourself. Traveling has a propensity for taking minutes, hours, and days from your life that you could otherwise reinvest into your case, or spend with your kids and loved ones. We want to give back those few moments you would love to give to yourself to actually enjoy the life you’re working hard to have. Puts the power of world travel in your hand. Modern living has come too far to be stuck with the legal solutions of the eighties. Discovery Litigation Services makes your world smaller. Our solutions expand your horizons by increasing the amount of free time you’ll earn back. Discovery Litigation Services’ HiDef video conferencing service can beam your deposition anywhere and everywhere you can imagine. Our HD streaming services will let you step into a deposition in New York, and with a click, come back to Wyoming in time to enjoy dinner with your family. Don’t be a martyr. Get more time with those you love. For years we have witnessed busy people working away from home, and sitting in meeting rooms just to hurry back to a lonely hotel room to sign onto a computer for a video conference with their loved ones. Discovery Litigation Services would like to flip that on its head. Don’t stream your life when you can live it and utilize on-demand streaming legal solutions. Stream the work with high definition video conferencing, streaming-enabled court reporters and translators, centralized case management, and easy to use online case management tools. Discovery Litigation Services provides simple online deposition scheduling, the ability to review and pay invoices digitally, and a repository instantly accessible at any time, every day, from any computer. We will give you the freedom to review deposition video, browse documents, and get work done on a timetable that fits your life.